This is a list of the best tools for bloggers that I recommend. I have used all of these unless otherwise noted (some have been used by friends who have told me extensively about them). Many of these blogger tools are free or have a free option to use, but some are paid. Most of the paid ones have affiliate links, which means if you click and then decide to buy/subscribe, I get a small commission. 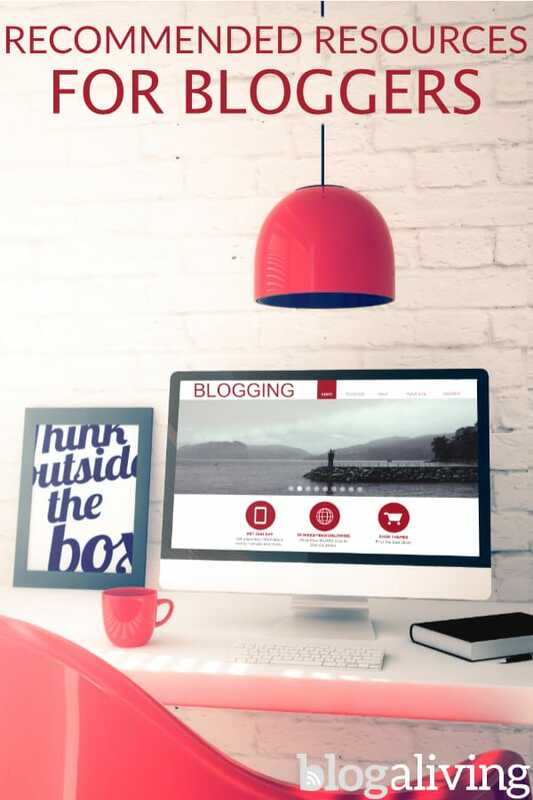 New bloggers can benefit from courses, but there are so many to choose from. Some aren’t worth it. Others actually give you bad information. I’ve taken all of these (and then some), and these are the best blogging courses I’ve found. Pinning Perfect. By the time I took this one, I’d taken about a million other Pinterest courses. I wish this was the only one I’d bothered with. This course is the only one I know of that doesn’t rely on group boards. It not only tells you what to do, it also tells you what not to do. And it’s updated every few months with the latest tips, straight from Pinterest. SimplePin Tailwind Master Course. If you use Tailwind or are even thinking about it, this is a very detailed course with a lot to digest. I had to go over some of it twice. It will help you take your Pinterest/Tailwind strategy to the next level. Making Sense of Affiliate Marketing. Michelle gives you the tips that took her to making over $100,000 per month from affiliate marketing. It may not take most of us to that level, but it makes a big difference. Elite Blog Academy. Taking this course a few years ago enabled me to boost my income by about 50%. The price has risen steeply since then, so I only recommend this one if you’re brand new to blogging and want to invest in a very comprehensive course. Clicky Analytics: more in-depth than Google Analytics, and very affordable. TigerTech hosting and domain registration: I never thought I’d trust all my hosting and domain registrations to one company, but after 5 years with these guys, I did. Can’t remember the last time I had even 5 minutes of downtime, the servers always run fast, and if you get a traffic spike, that’s okay. If it gets way out of hand, they contact you with options instead of just suspending your account. And their emails read like a dear friend who really wants to help. Genesis Themes. I bought the Pro-Plus All Theme Package that gives you access to all current and future themes. If you just want to invest in one theme, I use the Magazine Pro theme on most of my sites and recommend it. ActiveCampaign was my choice for email newsletters until I stopped running newsletters. You can manage multiple lists for multiple sites. They have a Lite version that lacks some of their more advanced features, and if it’ll do for you, it’s very affordable. If you need more advanced features, you can’t beat their more advanced versions, which are comparable in cost to other similar companies. I’ve had very good deliverability and open rates with these guys. MailMunch is what I (used to) use to create my top bar, pop up and embedded forms asking you to sign up for my newsletter (see Why I Don’t Have an Email List). When I installed the free version, my signups doubled. When I installed the paid version, they doubled again. I love the stats they provide, too! Smarter Queue: this scheduler is like MeetEdgar, but better, especially in terms of support. It works for Facebook, Twitter, LikedIn, Instagram and now Pinterest – yes, officially. That makes it the only tool I need to manage ALL social media. Like MeetEdgar and the defunct BoardBooster, it loops your posts: once it posts everything you’ve got, it goes back and refills its own queue automatically. You can give each post several text snippets and images to rotate so you’re not posting the same exact thing every time. It has several flexible pricing plans, including custom ones. If you only manage 4 social media accounts, you could pay as little as $16.99/month. TailWind: this is an official Pinterest tool, which I recommend because Pinterest recently cracked down on unapproved schedulers. With the addition of SmartLoop, TailWind becomes an even better option than BoardBooster was. iUnfollow: if you need to unfollow some people on Twitter, this tool makes it quick and easy to see who isn’t following you back. UnfollowStats: this Twitter unfollow tool is a little more in-depth, but can also take a little more time to use than iFollow. It lets you find inactive users (people who haven’t touched their account in the length of time you specify) and others you might want to unfollow, as well as non-followers and recent unfollowers. ThirstyAffiliates. Like PrettyLinks, ThirstyAffiliates cloaks your affiliate links and gives you amazing statistics on them. But unlike the others, it has an option to uncloak Amazon links on the front end, so you can use it with them to get the statistics without violating Amazon’s rules. It has auto-linking and lots of geo-targeting options. And despite all that, it doesn’t slow your sites down. And pricing isn’t by subscription. You can renew every year if you want continued support, but you only have to buy the license once. Support is awesome, and during the time I’ve been using it, they’ve made major improvements to the plugin. Scriptless Social Sharing. This is a totally free social sharing plugin that I recommend over paid plugins I’ve used. It’s so lightweight it makes virtually no impact on your page loading speed. It doesn’t have counters, but they don’t influence shares that much anymore, anyway. And it’s beautiful. Social Warfare. I no longer recommend Social Warfare because I no longer trust that the developers know what they’re doing. The latest gaffe was an update that took many sites offline with a 500 error. They released several patches over a week or so, but even when the plugin worked, it was slowing my sites down horribly. Replacing it fixed all the problems. Here’s what I replaced Social Warfare with. SpyFu: this tool lets you see what your competitors are doing to beat you. It’s amazing how it can reorganize your whole business strategy. Take a look at phrases where you’re almost on Page 1, or have just fallen off of Page 1. See what phrases your competitors rank for to figure out how to beat them. SE Ranking: this tool not only helps you zero in on the best keyphrase to use, but also scans individual pages on your site and gives you specific SEO advice to improve them. Amazon Affiliates: depending on your business model, you can earn a lot from the Amazon affiliate program, despite the modest commissions and 24-hour cookie. This is because people buy from Amazon more readily than from some lesser-known sites. Linkshare: this company runs the affiliate programs for a ton of companies, including Macy’s, Nordstrom’s and BestBuy. If you want to sell products for companies like that, get a LinkShare account and get started. Share-A-Sale: this is another company that runs affiliate programs for other companies. Their merchants tend to be smaller and hungrier than Linkshare’s, which can be very good for you. Example: TailWind, StudioPress, MailMunch. Canon Rebel T3i. I use a Canon Rebel T3i to photograph drinks and food and tutorials for my other websites. You can do a lot with this camera, and it’s very durable, too. Affinity Photo. I never thought Photoshop was worth what they charge. For years I used GIMP, which is good enough if you just want to make photos look better and add some text. But Affinity Photo does most of what PS does for a fraction of the cost, and does it so easily and quickly that it speeds up my workflow. It’s $50, a one-time fee that covers all upgrades until they get to 2.0, which should be a couple of years out. ImageOptim. Once I edit an image in Affinity, I run it through ImageOptim to compress it to the smallest size it can be without looking different to human eyeballs. This helps with website load times. You can download ImageOptim or use it online. 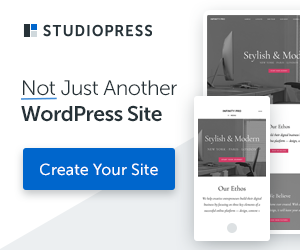 I’ve found it to be totally reliable at the default settings – just run an image through it, and it’s ready to upload to your site in its new svelte size. Evernote. Evernote is so much more than just a note taking app. You can easily clip articles or bits of articles from online. You can organize reminders, keep a journal, or organize a team. Dynalist. This is my favorite tool for writing outlines and taking notes. It’s like Workflowy, but with more formatting options. It has desktop apps and several mobile versions, too, so you don’t have to run it in your browser. ToDoist. My preferred task management system. They’ve got an app for every platform. Organize tasks by project and priority, and in the paid version, you also get labels and filters, and the ability to add comments to a task. It’s deliberately simple, for those of us who don’t want all the features found in some of the more complicated task apps. Wavebox. This desktop app runs my Gmail, Todoist, Evernote, Dynalist, all your Twitter accounts, Facebook and lots, lots more. Think of it as a very sophisticated browser that holds lots of tabs without bogging down your computer, and that lets you be logged into multiple accounts (like Twitter) at once. DepositPhotos. This is one of the more affordable paid image sites, and it’s got some great quality photos. I rely on it for most of my stock photos. StockUnlimited. This paid image site is even more affordable than Deposit Photos, but it has fewer photos, less variety and sometimes less quality. A lot of images look very “stock.” Still, they definitely have some good stuff. Varvy. Check your sites to see how they’re complying with Google guidelines. Great for picking up little mistakes, like blocking something with robots.txt that you don’t need to block anymore. MediaVine is an ad manager who handles your ads for you and brings in better money than you could earn on your own. They. Handle. Everything. in exchange for a small percentage. The ads load fast, you have total control over them, and I immediately earned a little higher RPMs with them than I had with AdThrive. One of the best features is their Site Health Checks, which give you actionable advice on optimizing your posts and sidebar for ads. Requires 30,000 pageviews per month. AdThrive: (no longer using) Works like MediaVine. Requires 100,000 pageviews per month. Support is more M-F, 9-5 than MediaVine, which is the main reason why I switched. ConversantMedia (formerly ValueClick): these guys have been around forever, always pay on time, and do an overall good job on things. Adsense: a solid way to monetize a new blog that isn’t qualified for MediaVine yet. Sovrn: Sovrn is a solid ad provider that will work with lower traffic blogs. It pays well, and they do well at screening out intrusive and icky ads. Once upon a time, before everyone would hang out on Facebook all day, we hung around in forums, chatting with people who shared our struggles and achievements. WebDeveloper – get into the nitty gritty of programming languages and all aspects of running websites. Hacking is a big business and it’s only going to get bigger. I recently switched from PC to Mac, and on both platforms, there are security apps I wouldn’t be without. Read my story about getting hit with ransomware because I made the mistake of buying one of those Lenovos that had Superfish. LastPass is a password manager, and using it can protect your logins from any keyword tracker malware that’s gotten onto a computer of wifi you’re using. I highly recommend it, especially if you like to get on the shared wifi at coffee shops, airports, etc. Emsisoft Anti-Virus doesn’t just try to catch viruses it knows about; it stops suspicious behavior of zero-day viruses (brand new ones) that nobody knows about yet. That’s the kind of protection you need against today’s ransomware. Crypto-Prevent is a small app that changes group policy settings to make it tougher for ransomware and other takeover malware to do its thing. Malwarebytes Premium. A lot of antiviruses shouldn’t be run side-by-side with another AV, but Malwarebytes and Emsisoft are both exceptions to this rule. Malwarebytes is relatively cheap, and it does a great job. I think it’s worth it to have both unless your computer just absolutely can’t handle the load. Yes, Macs are pretty secure and aren’t targeted as often by malware creators. But there is malware for Macs. Why not run an AV just to be safe? Sophos Home Premium. Since a recent update of BitDefender caused it to start using all my CPU and making my laptop run hot, I am doing a trial of Sophos’ paid home antivirus. So far, so good. Catches Windows malware as well as Mac, so you can swap files with Windows users without infecting them. And it runs light on my system so far.